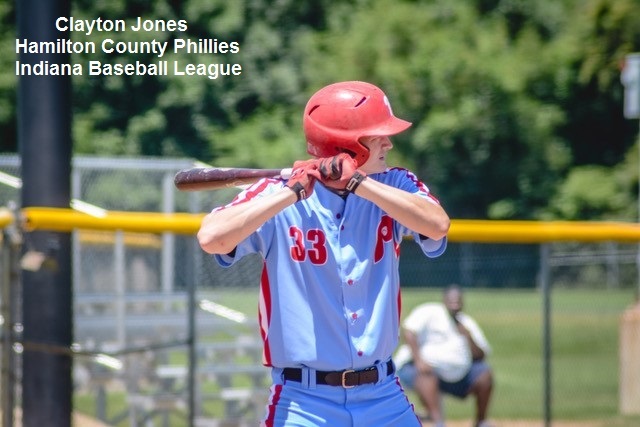 Clayton Jones is the center fielder for the Hamilton County Phillies from the MSBL’s Indiana Baseball League located in and around Indianapolis. It all began on June 24, 2018 at Mt. Vernon High School in Fortville, IN. HC Phillies center fielder and Trine University baseball alum Clayton Jones put up an amazing 4 for 4 performance against the Indy Rangers while bringing in one RBI and adding three stolen bases in a single game. Clayton is one of the first Phillies players in 2018 to have a perfect day at the plate after hitting four singles on all four at bats against the Rangers. Just one week later on July 1, 2018 at Scecina Memorial HS in Indy, Clayton continued his perfect run into the next game. Against the Indianapolis Cardinals Clayton extended his hit streak to five straight at bats, then six, then seven and then on to 10 consecutive at bats with a base hit. Back to back games with a perfect day at the plate. Not something you see every day for sure. Clayton went 6 for 6 with six singles, two runs scored, one RBI and two stolen bases in the HC Phillies 15-6 victory over the Indianapolis Cardinals. That is a perfect 10 for 10 in two full games played. Another week later the Phillies returned to Mt. Vernon high school as Jones stepped in for his first at bat versus the Indianapolis Pirates in the bottom of the first inning. Jones ripped a base hit to the right side and reached safely for his 11th consecutive at bat with a base hit. A couple of innings later, Clayton ripped a line drive that was snagged by a Pirates defender to finally bring the streak to end. Clayton went on to go 2 for 2 the rest of the game just missing extending his streak to 14 at bats. 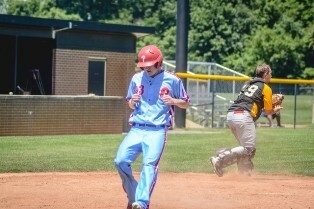 Clayton went 3 for 4 with three singles, two runs scored and three stolen bases for the Phillies versus the Pirates. This was an amazing feat performed by Clayton Jones with 11 straight at bats with a base hit and a 13 for 14 run at the plate over a three game span. Simply amazing and one for the record books! MSBL Welcomes the Columbia, South Carolina MABL!